Another SigEp hero! 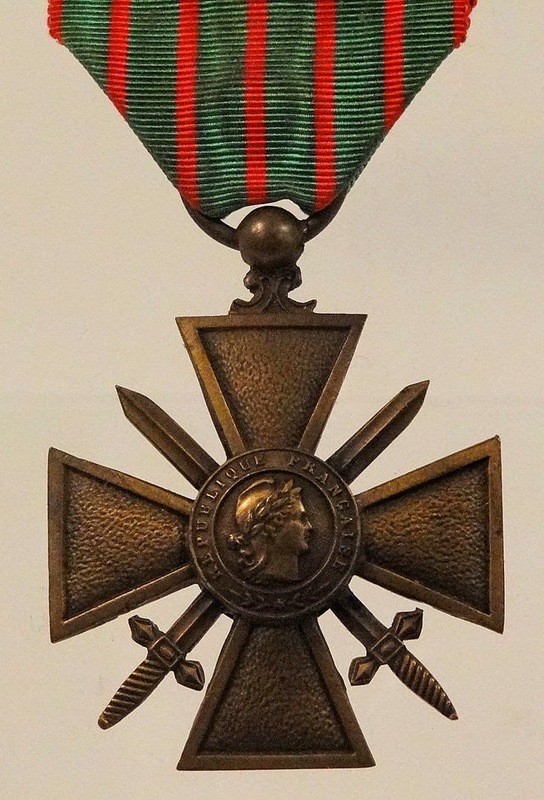 While it took nearly 27 years, U.S. Army WWI Veteran and Montana Alpha Brother Albert Schak was finally awarded the French Croix de Guerre, with the Decoration Fourrager for his actions on this date in France during WWI. The date was 21 JUL 1918, and it was the last stages of the battle of the Marne. Young Albert Schak of Missoula, Montana was a Soldier in an infantry unit inching its way forward during an assault that would result in only nine of the original 250 men capable of going on the next day. During the battle, a man was shot through the hip. Albert tried to get him to get the man to safe ground, but he was unable and the others were “too busy trying to make their way forward.” So, he drew his .45 caliber revolver, and pointed it at the nearest man. A few others joined that man, and they used a litter to start the trip back to the medical area. Albert followed, and when one of the litter bearers was killed, he stepped in and took his place. Once the wounded man was safely at the aid station, Albert began the journey back to his outfit which was still moving towards their objective. In an example of how families also serve, Albert’s mother was notified twice that he had died during the war. After the war, Albert brought his courage, character and leadership to Montana Alpha. UC Berkeley Class of ’36 alumnus and California Alpha Brother William E. Turpen joined the Army on this date. On this date, Virginia Alpha Brother Roy C. Parks, Jr. graduated from navigator training as a Second Lieutenant, U.S. Army Air Corps. Montana Alpha Brother Theodore Gramm entered the U.S. Army on this date. World War II Veteran and Arkansas Alpha Brother Captain Clyde M. Mead, U.S. Army Corps of Engineers was wounded in action on this date when a bomb exploded thirty feet in front of him and also by high explosive shell fragments during combat near Gela, Sicily. 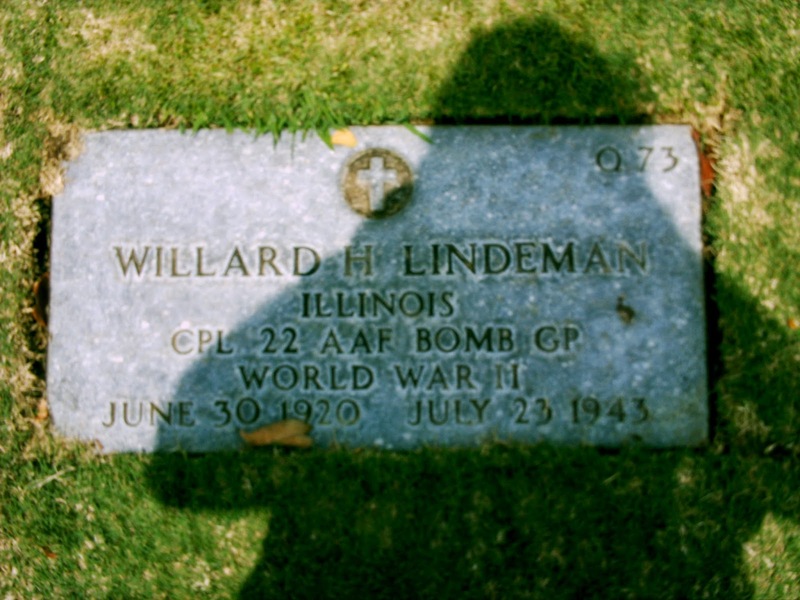 On this date, World War II Veteran and IL Alpha Brother Corporal Willard Harold Lindeman, U.S.Army Air Corps made the ultimate sacrifice when he was killed in action in New Guinea while serving as a gunner in an aircraft with the 408th Bomber Squadron, 22nd Bomber Group (Heavy). Willard enlisted in the Air Corps in JAN 1941, and after more than a year at the University of Illinois, he left UI for service in the Pacific in SEP 1942. Respect can be paid to Brother Lindeman at National Memorial Cemetery of the Pacific, Honolulu, Hawaii, Plot Q, Row 0, Grave 73. 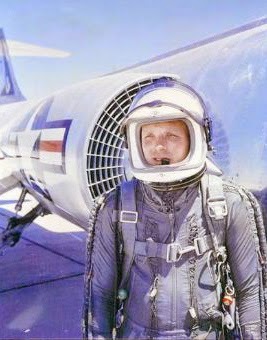 Fifty six years ago yesterday, Korean War Veteran & Ace Fighter Pilot, SigEp Citation Recipient (Posthumously) and Indiana Alpha Brother Captain Iven Carl "Kinch" Kincheloe, Jr., U.S. Air Force was killed when the F-104 (Starfighter) he was piloting crashed near Rosamond Dry Lake, California. In 1948, in a bit of foreshadowing, Cadet Kincheloe was able to meet legendary pilot, Chuck Yeager, and sit in the cockpit of the Bell X-1. The Class of ’49 graduate of Purdue University entered the Air Force through the Reserve Officer Training Corps, and after graduation was assigned pilot training in Arizona where he received his wings and commission in 1950. He was immediately deployed to Korea serving with the 4th and 51st Fighter Wings. After the war, Kinch became a USAF test pilot, participating in the testing of the Century Series of fighter aircraft. In the mid-1950s, he joined the Bell X-2 program and on 07 SEP 1956, flew the Bell X-2 research rocket plane more than 2,000 mph and to a height of 126,200 feet (some sources list 126,500) – a world record and the first flight ever above 100,000 feet. For this, he was nicknamed "America's No. 1 Spaceman" and would receive the Mackay Trophy the following year. Brother Kincheloe was selected as one of the first three pilots in the next rocket-powered aircraft program, the X-15, and would have been part of the Man In Space Soonest project. A year after his death, Kinross Air Force Base (AFB) in Upper Peninsula, Michigan was renamed Kincheloe AFB in his honor. The base closed in SEP 1977. A monument erected honoring him still stands a few miles east of his hometown of Cassopolis, MI – it is an angular stone slab twelve feet high bearing a silver model of the X-2 pointed skyward. In 1992, Kinch was inducted into the Aerospace Walk of Honor, and the Iven C. Kincheloe Award is named in his honor. His awards include the Silver Star, Legion of Merit, three Distinguished Flying Crosses and four Air Medals. In 1987, SigEp posthumously awarded him the SigEp Citation. Brother Kincheloe was laid to rest in Section 2, Site 4872-1, Arlington National Cemetery, Arlington, VA.
On this date, Pennsylvania Eta Brother Daniel A. Augustyniak graduated from Penn State and was commissioned a Second Lieutenant, U.S. Air Force. U.S. Army Veteran, Operation Iraqi Freedom & Operation Enduring Freedom Veteran, and Alabama Alpha Brother Wallace J. Paschal II was promoted to Colonel, U.S. Air National Guard (Florida) on this date. Korean War Veteran and TX Delta Founding Father Sergeant Leslie “Les” G. Bains, U.S. Marine Corps, 71, died on this date in Clayton, New Mexico. Les volunteered for service in the Marines during the Korean War. Following his military service, he attended the University of Houston, and was the second brother initiated at TX Delta (Chapter Number: 152-0002). He remained an active alumnus to both. Les was a pilot, and member of the Civil Air Patrol, as well as the Masonic Lodge of Bandera, TX. Respect can be paid to Brother Bains at Forest Park East Cemetery, League City, TX. U.S. Navy World War II Veteran Charles E. Farkas, Sr. died on this date at the Kline Hospice House in Frederick, Maryland. Charles was a brother of Lambda Tau Delta (LTD), and member of the Class of ’42 at Cleveland State. He is our brother because that LTD chapter became Ohio Nu. Respect can be paid to Brother Farkas at the Veterans Garden of Honor, Resthaven Memorial Gardens in Frederick. Four years ago on this date, U.S. Army World War II & Korean War Veteran, Mississippi Beta Brother General William E. “Bill” Callicott, Mississippi National Guard (Retired) (Mississippi State University ’48) died in Memphis, Tennessee. Bill was a lifelong resident of Senatobia. After WWII, he attended Mississippi State, and graduated with the class of 1948. The Korean War next dominated Brother Collicott’s life, and in 1960 he began 16 years of service to the people of Mississippi by serving in the State House of Representatives. Later he would serve three terms as the Mayor of Senatobia. Bill eventually retired as owner of the Callicott Insurance Agency, a business his grandfather began in 1915. 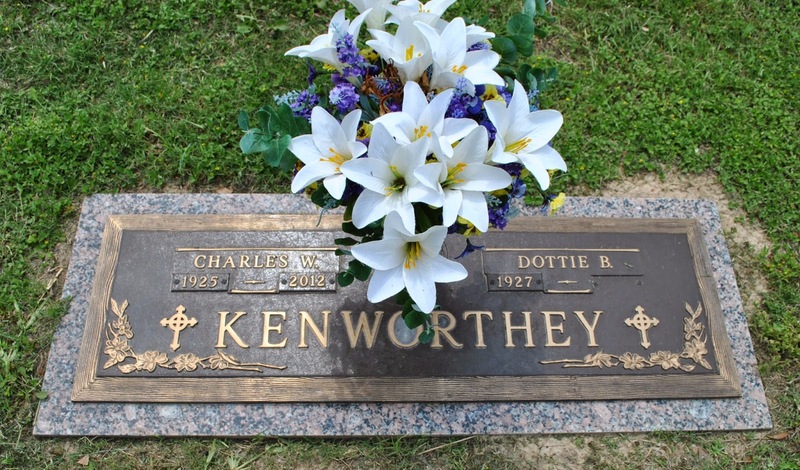 World War II Veteran of D-Day and MO Alpha Past President Lieutenant Commander Charles “Charlie” W. Kenworthey, U.S. Navy Reserve (Retired) died on this date in San Antonio, Texas. He was 87 years old. He attended the University of Delaware majoring in mechanical engineering before his WWII service. On D-Day, Charlie was a petty officer aboard a landing craft for the Normandy invasion. After the war, he graduated in 1949 with a bachelor's degree in journalism from the University of Missouri where he was president of MO Alpha. Brother Kenworthey then received a direct commission in the Navy Reserve, and served as commanding office of a Public Affairs Unit, before retiring with the rank of Lieutenant Commander. Respect can be paid to Brother Kenworthey at Sunset Memorial Park, San Antonio, TX. * We just learned that U.S. Army Korean War Veteran Nebraska Beta Brother William C. Whited passed away 07 JUL in Colorado. Our thoughts and prayers go out to the family, friends and chapter brothers of Brother Whited. SPP pledges that you and your patriotic service will always be remembered. * Welcome Home! Operation Enduring Freedom Veteran and Texas Upsilon Brother First Lieutenant Beau McNeff, U.S. Army Reserve is back with his family in America after a successful tour in Afghanistan! While deployed, Beau managed to donate hundreds of volunteer hours at the USO on FOB Fenty. Near the end of his tour he was also welcomed in to the SigEp NUTS! McAuliffe Society. * On Saturday, Illinois Nu Brother Chris Kimball graduated from the U.S. Army’s three week Airborne School. Congratulations, Chris! SPP would like to thank brothers Adam Seiler, Cory Butler, Dave Huiett and Charles Eberly for their assistance this week.